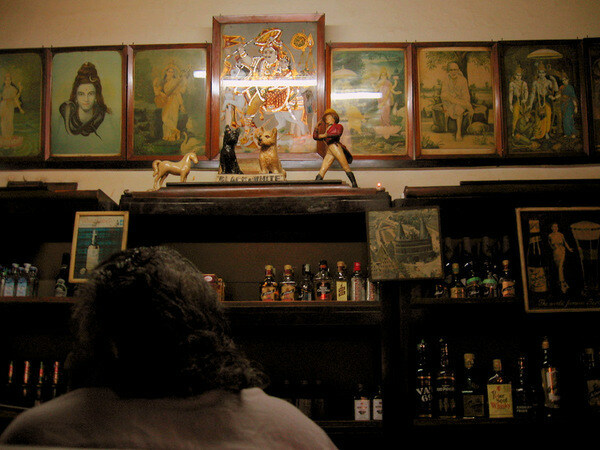 Gopal MS - British Hangover at Dewar's Bar, Bangalore. 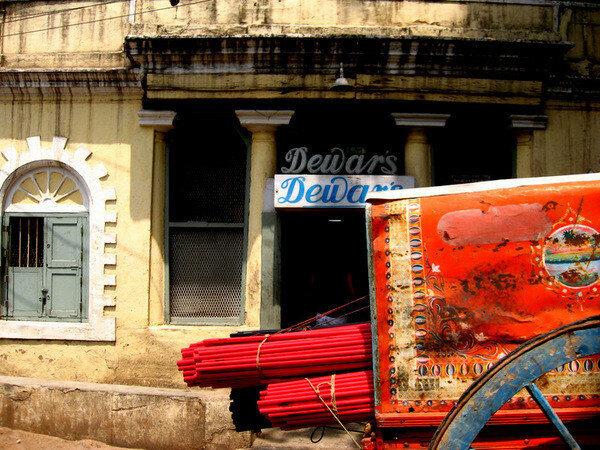 Dewar's Bar refuses to change and rightly so. If an establishment has something going right, the best thing to do is - refuse to change. 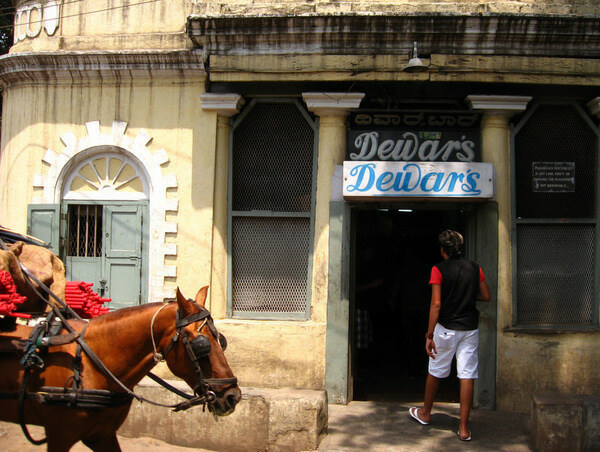 And that's exactly what Dewar's Bar on Cockburn Road, Bangalore, India, (that opened during the British Raj in the 1920s) has chosen to do. 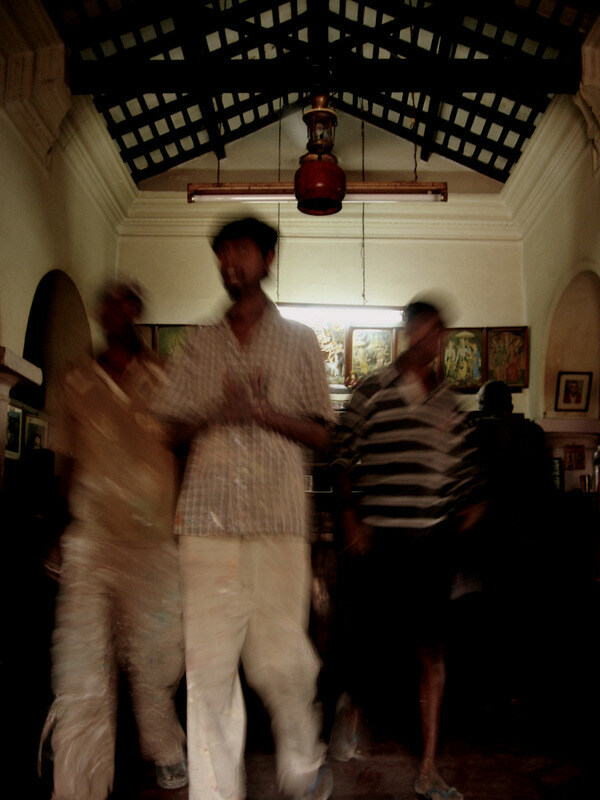 To retain the old world charm. 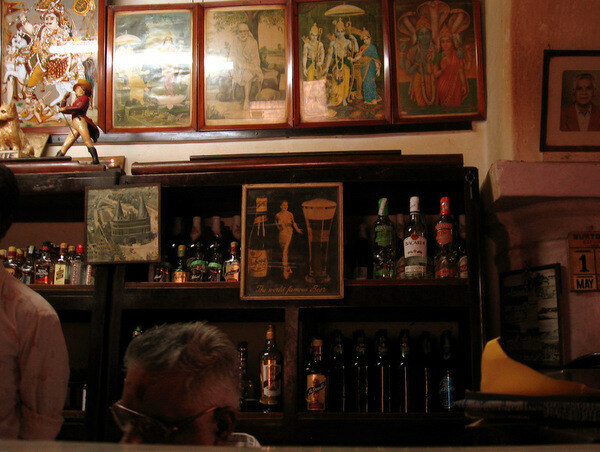 The official story is that the owner of the bar requested his son not to change a thing about the Bar after his days, when he passed away in the early 90s. The building is the same. The bar behind the counter is the same. The round rosewood table that was originally imported from Singapore looks age proof is the same. The well covered lady selling under the gaze of somarasa drinking gods and goddesses is the same. 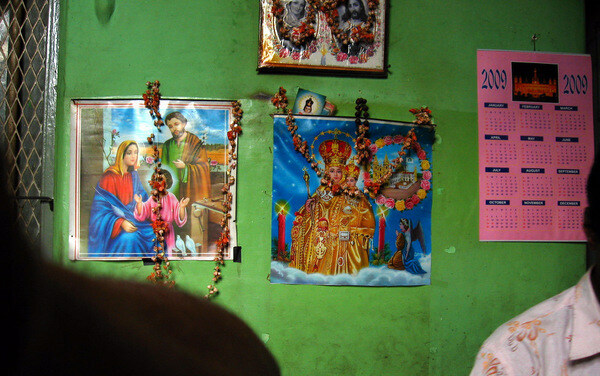 Above the bar, the line of Hindu deities staring down at the patrons at the counter. The clientele hasn't changed much too. 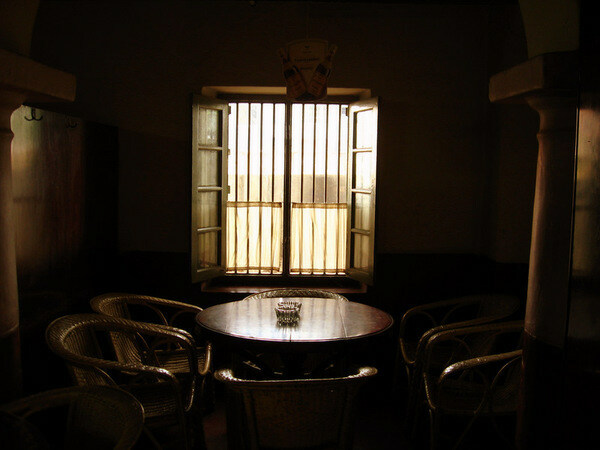 The bar is cheap enough for the daily wage earners and porters (coolies) from the nearby Bangalore Cantonment Station to have a quick drink standing while rich patrons sink into the cane chairs. from the world for a short while. 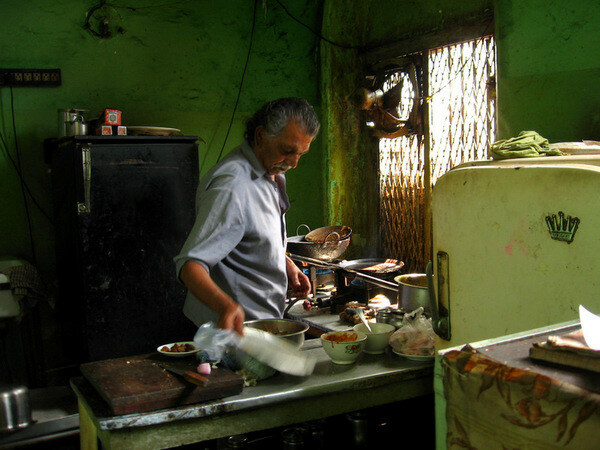 However there is one more reason why this place stays among the must-visit places in the city - it's the food. To be more precise, it's the spicy fare that you get to line your stomach walls as you down your drinks. The kitchen is run by a man named Richard. 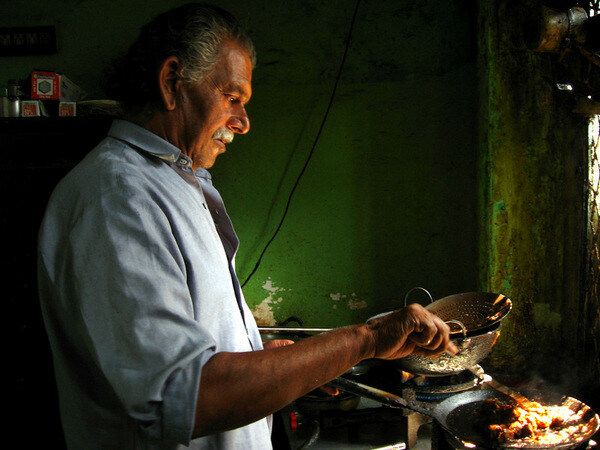 He is actually a mechanic but his passion is cooking. The fiery fried meat and offals (Local slang for offals: 'Spare Parts') is the main draw at this economical watering hole. Richard has his own set of deities lording over him. 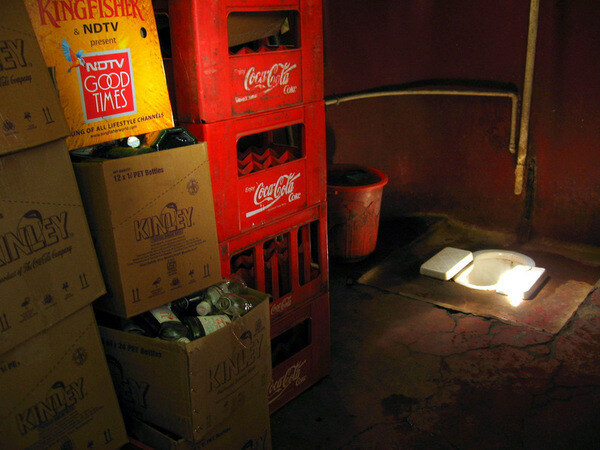 The loo with its Indian style toilet and used crates and bottles.